Skopelos is the largest of the Sporades islands and is located in between Skiathos to the west and Alonissos to the east. It is one of the most popular islands in Greece thanks to the movie "Mamma Mia" which was filmed there. The natural beauty of the island, coupled with the charming towns and resorts mean that Skopelos has been attracting a growing number of visitors each year from all over the world. The island is very green and colourful, and the natural scenery of all shades of green combines perfectly with the blue and jade colours of the Aegean sea. In fact, the island is often referred to as the "Jade island". The capital town of the Skopelos is Chora, which is a beautiful traditional town that has picturesque narrow streets, colourful gardens and lots of hidden and impressive spots for visitors to seek out. 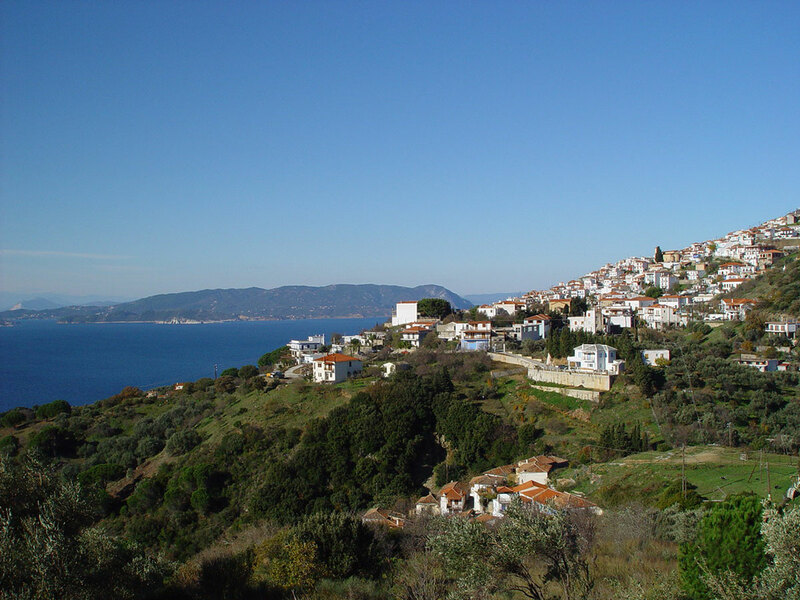 In addition to Chora, there are several other very nice towns that you should visit when on the island. These include Neo Klima, Palio Klima and Glossa. Each has it's own charm and unique beauty and offer a different perspective of the island. 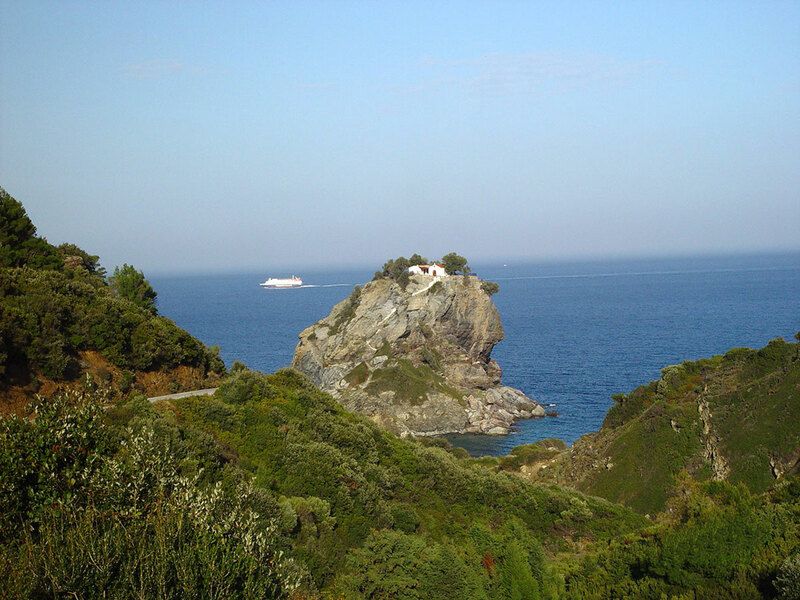 Skopelos has lots of perfect beaches where you can relax and swim during the hot summer months. Some of the popular beaches on the island include Glyfoneri, Panormos,Agnontas, Glysteri, Agia Varvara and Limnonari. Some beaches are only accessible by boat. There are many interesting churches and monasteries found all over the island that are well worth visiting if you have the opportunity. Probably the most popular is the small chapel of Ai Yiannis, located on top of a rock, and which was featured in the final wedding scenes of the "Mamma Mia" movie. For entertainment you will be able to find a great selection of cafes. bars and local tavernas and restaurants. When eating out in Skopelos try some of the local cuisine such as the traditional Skopelos cheese pie. The island is a great destination for your relaxing and fun filled holidays in Greece, and provide you with the chance to experience one of the most famous and popular islands in the country.